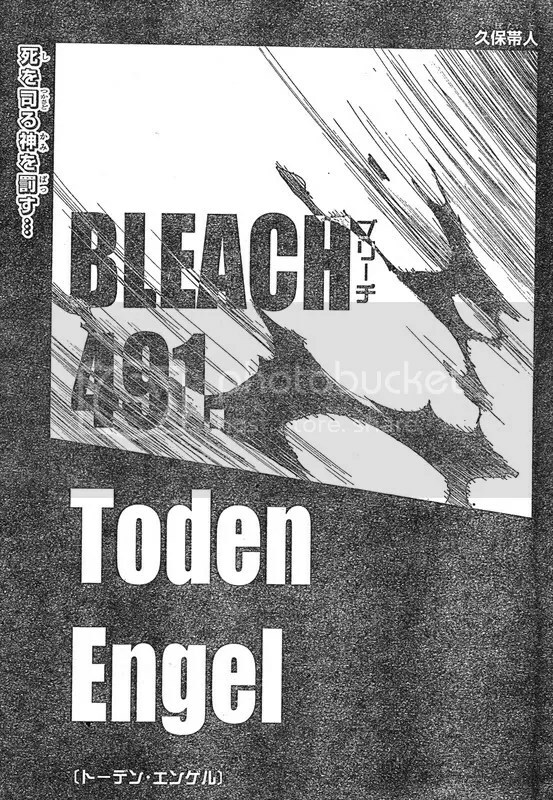 Bleach 491 Spoilers Quotes:Bleach 491 Trivia: Love Gun (ラブ・ガン, Rabu Gan): A heart-shaped device with wing-like protrusions on both sides and a liquid containing vial that juts out of the back. It was originally created by Shūkurō Tsukishima and is able to fire miniaturized objects contained inside it which then increase in size. Bleach 491 Spoilers at mangabox.wordpress.com will out on Tue or Wed. If you like discuss the bleach ブリーチ ネタバレ 491 please leave a comment bellow. Please be patient.